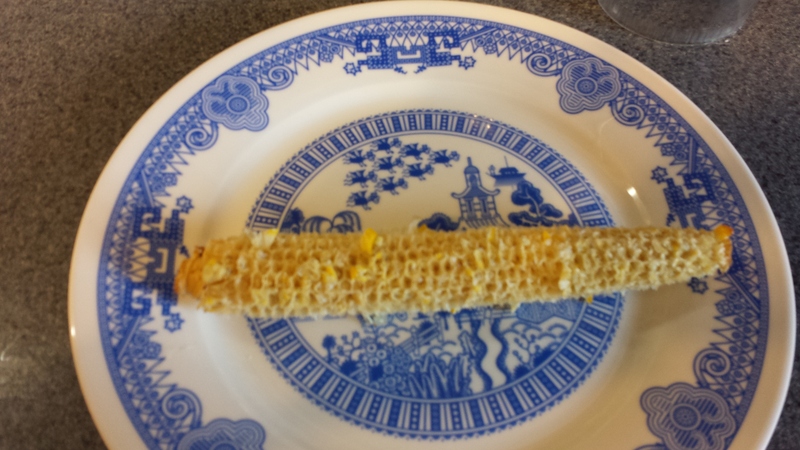 Okay, so one day we had some leftover corn on the cob…. Bacon – plan on at least 4 strips per each full cob (you know the rules: more is always better when it comes to bacon…..). 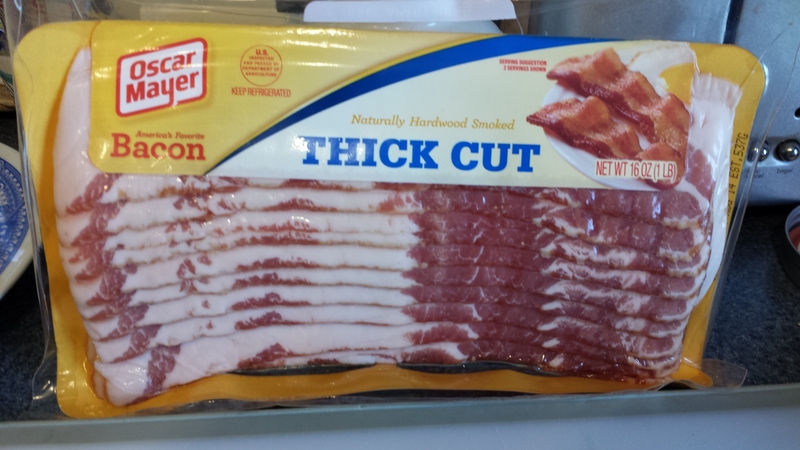 You can use regular or thick-cut bacon. 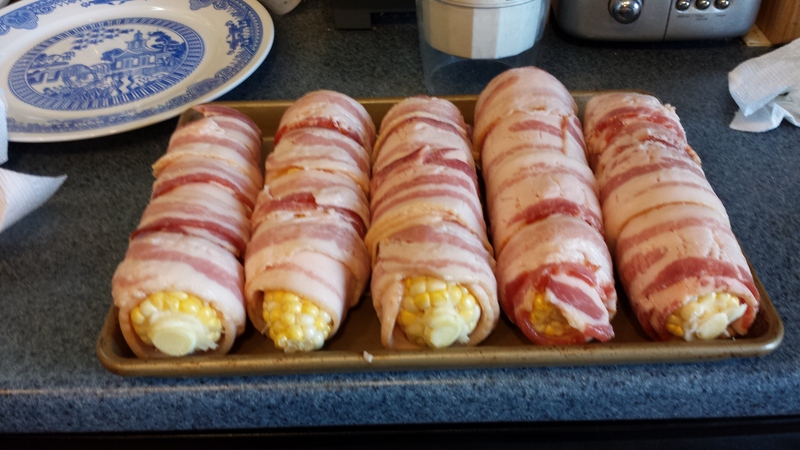 Wrap each ear of corn completely with bacon, secure ends of bacon with toothpicks to keep from falling off during cooking. Bake at 425F until bacon is completely cooked (45 minutes – 1 hour), turning once halfway through. 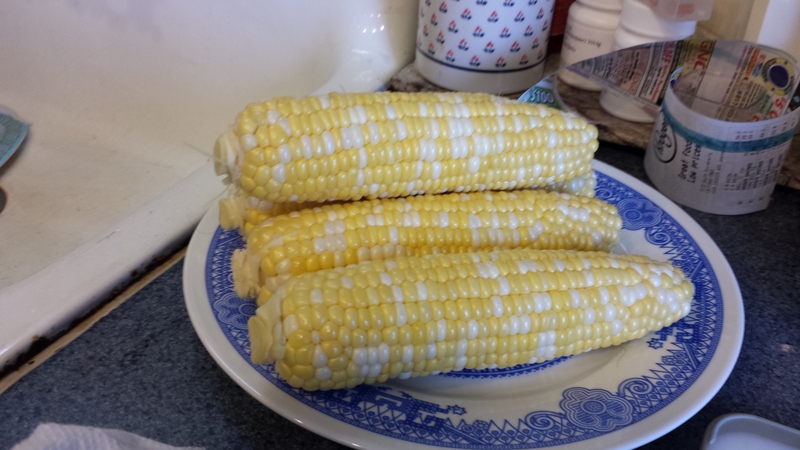 These can probably be grilled, as well; I just like to bake them because the little niblets are able to absorb all of the bacon grease while cooking, which makes this dish extra decadent…. 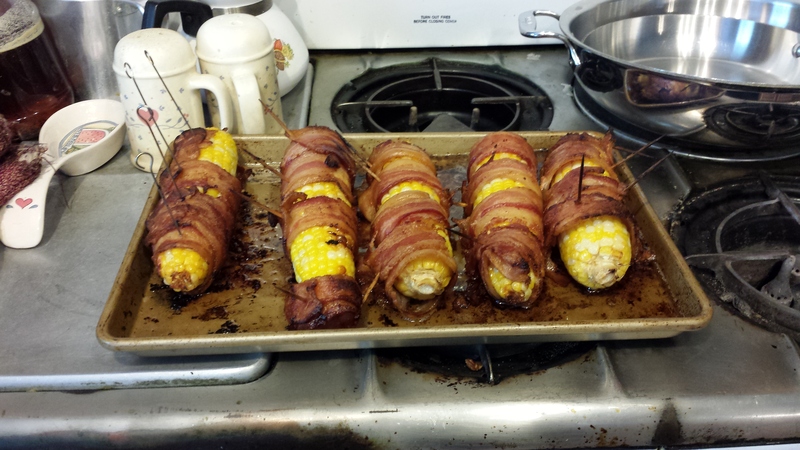 This entry was posted in Foodie Friday, Holidays, I Love America, Just Because, Recipes and tagged Bacon, Corn on the Cob, Crazy Ideas, July 4th. Bookmark the permalink.